Vyner Road only came into existence in 1893-4 due to plans to build 400 houses on Bidston Hill (a plan thankfully rejected), but once there it proved invaluable, making sure that employees at the docks and at Levers were on time. If you look to the left of the bridge at the end by the windmill, you can see the drill holes for the explosives used to blast the sandstone open to create the road. Although there are some houses along this road, thanks to Edmund Taylor and the other nine members of the original Bidston Hill Committee, these houses are few and in keeping with the area. 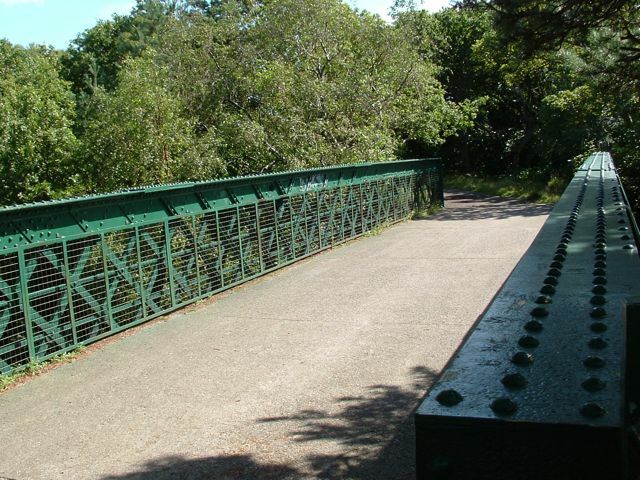 The bridge you are standing on is 26 feet above the road and has a weight limit of two tonnes. It was built to “link the two parts of the hill for people to enjoy without the risk of crossing the road in front of automobiles”. Vyner Road is named for Robert Charles De Grey Vyner of the Vyner family of Bidston.